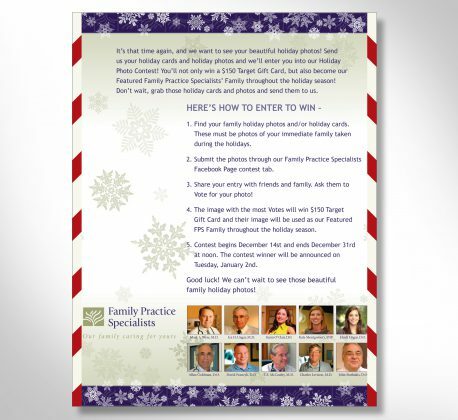 After having been in practice for over 30 years, Family Practice Specialists (FPS) looked to Quaintise to help take their business to the next level. 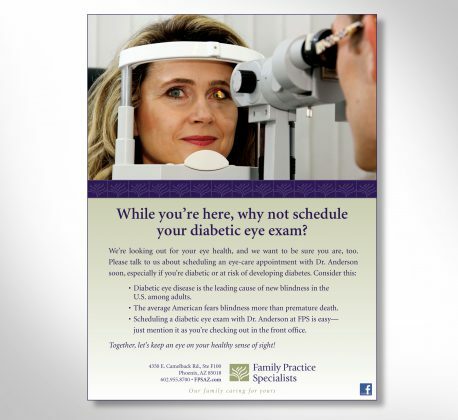 With the lack of a marketing plan, the business was failing to reach potential patients. In order to overcome challenges and develop a plan, we conducted market research to identify who their true potential patient. 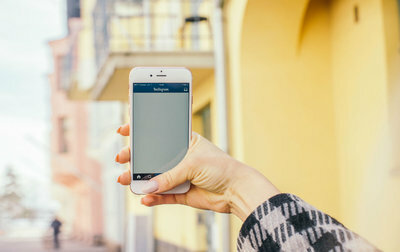 Taking into account their unique practice, we then developed a positioning strategy that best connect to their target audience. Based on market research and following the new positioning strategy, Quaintise developed the framework of a marketing plan that laid the foundation of how we will be tactfully reaching out, engaging, and bringing patients through the door with appointment bookings. To further assess the brand’s strengths, weaknesses, opportunities and threats, Quaintise conducted a brand audit that became the groundwork for where our marketing initiatives began. This allowed us to develop a cohesive strategy, compiling all of their existing platforms, data points, profiles and materials, and identifying ways to improve from there. Founded in 1969, FPS was looking for innovative ways to stay relevant in the new digital age. Quaintise knows that 97% of consumers look online before buying locally, and therefore we suggested making updates to the FPS website first. Featured on their new website are their array of services, a visual tour of the facility, an enhanced online patient portal, and a home base for the brand’s new blog and newsletter. 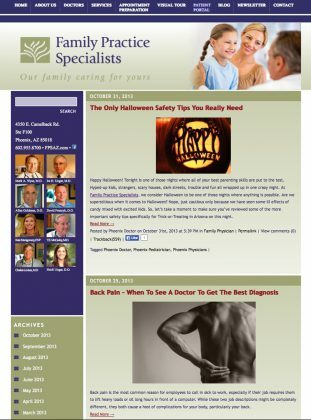 The digital content Quaintise created for the brand and promoted online helped the website’s SEO, increasing “phoenix family physician” to the #4 spot on Google – up 69 spots from start, “dermatology surgeries phoenix” to the #5 spot on Google – up 41 spots from start, and “family physician phoenix” to the #5 spot – up 19 spots from start. Being a hyperlocal business, Quaintise utilized local and community publication advertising to reach FPS’ target demographic. 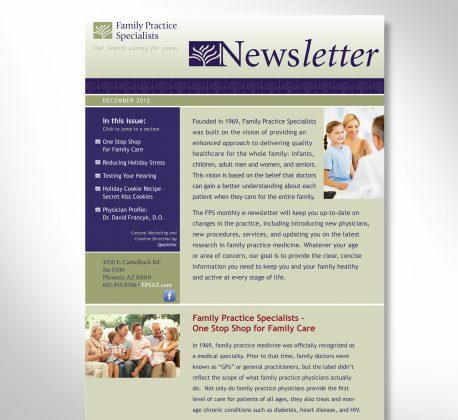 Being a family practice with long-standing ties in the community, it was important to reach out and participate through channels that served the area. 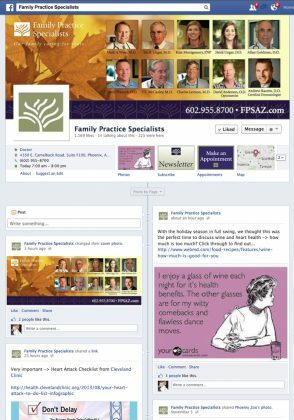 As a family practice, community building was an important focus — especially on social media platforms where their audience was spending their time. Quaintise helped expanded their presence on Facebook, growing connections, monitoring brand and industry-relevant terms, encouraging referrals and testimonials, and fielding customer service inquiries. We also launched the FPS YouTube channel to host the testimonial videos we created, which would be indexed by search engines and increase the brand’s SEO online. 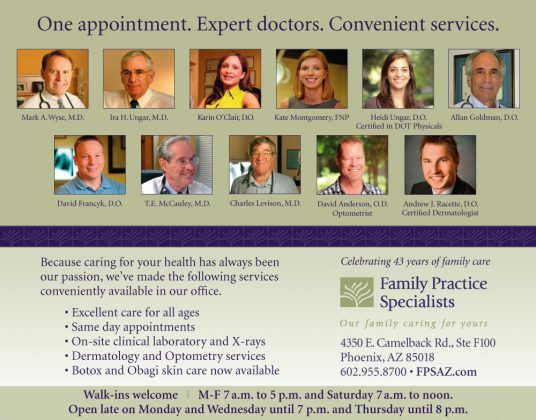 Family Practice Specialists were positioned to be a unique, one-stop destination for family care and convenience in one appointment. 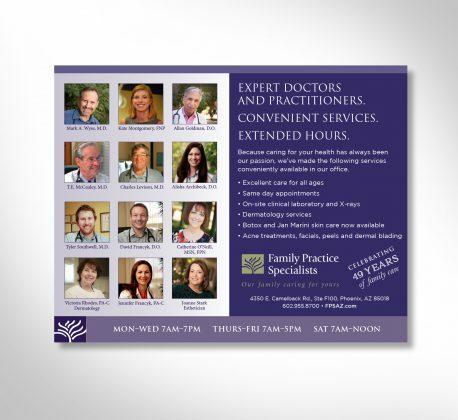 To get the word out, Quaintise developed several marketing materials that promoted their services, including a new- patient welcome package, updated brochures, posters, and counter cards. 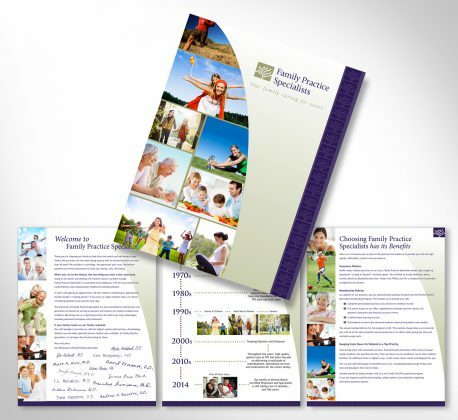 In an effort to build their community, promote their extensive array of services, and keep their client base engaged, Quaintise developed an email marketing plan for FPS that started collecting subscribers to form a list that would receive a monthly newsletter. 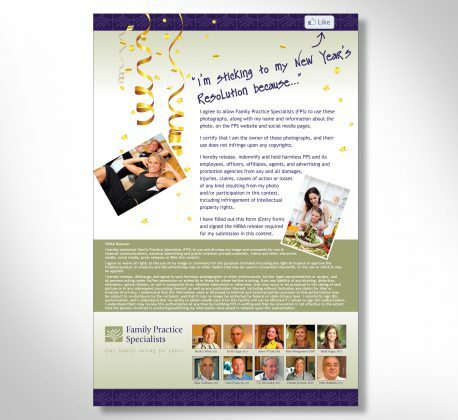 Lastly, Quaintise understood how important testimonials were to FPS’ target audience. Because videos are highly searchable and provide great return on investment, we developed video testimonials that were shown within the practice on on their digital platforms. These videos helped build trust, the foundation of conversions and sales.